Back on Unknown Pleasures duty, Getintothis’ Jake Marley unearths three more under the radar gems. 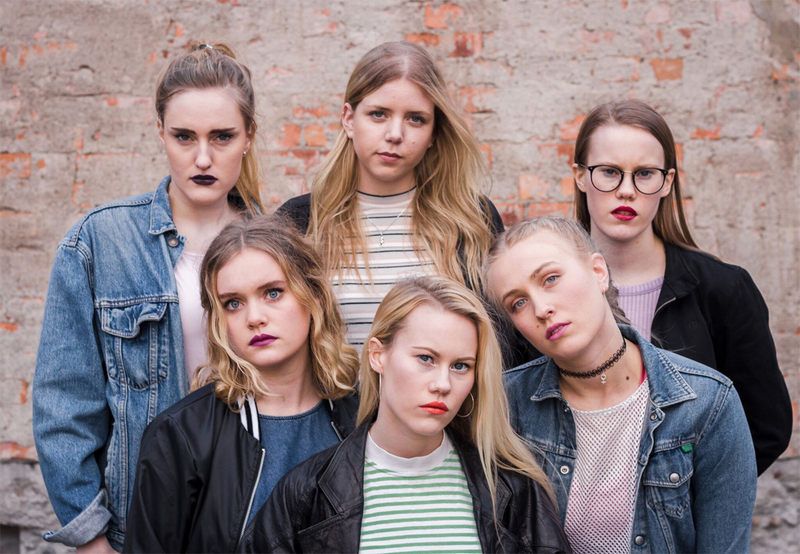 Stockholm six-piece KNASH are a wonderful, energetic collective of feminist rockers. They are unlikely to be on many English radars just yet but they’re pretty darn good. Razor sharp anthem Our Time is clearly a response to harassment by sleazy men; “There should be a curfew for men to not be on the streets after one AM, because that’d be the one time and place we could really feel safe” they implore before chanting “This is our time” over and over amongst a sea of scuzzy guitars. They’ve since followed that absolute banger up on several occasions with the infectiously catchy, diversity anthem Let A Sister and in your face riff-ball Hey Red. They are fantastic and really good fun, an assault on 2017 wouldn’t be a surprise. Brighton outfit Penelope Isles’ new slow-mover Cut Your Hair is quite simply bloody lovely. Kicking off with sharp stabs of blossoming blues guitar lines and understated vocal rasp before developing a real drum/bass infused strut and jangling on down the coast – wondrous. Released as part of Art Is Hard Records‘ new singles club series this lo-fi gem will jangle and strut along at its own pace and will not be rushed for anyone, but as we all know you can’t rush perfection. Swedish artist Elsa Carmona ventures into darker territories on bleak synth slow burner Hurt – a low-key throb that nudges shoulders with the likes of BANKS. It’s a world away from her first release Ritual but showcases her ability to ghost between low-key throbs and more frenetic beat-led fuses with breathy, at times Lana Del Rey-esque, vocals.